“I just need a moment.” I replied. 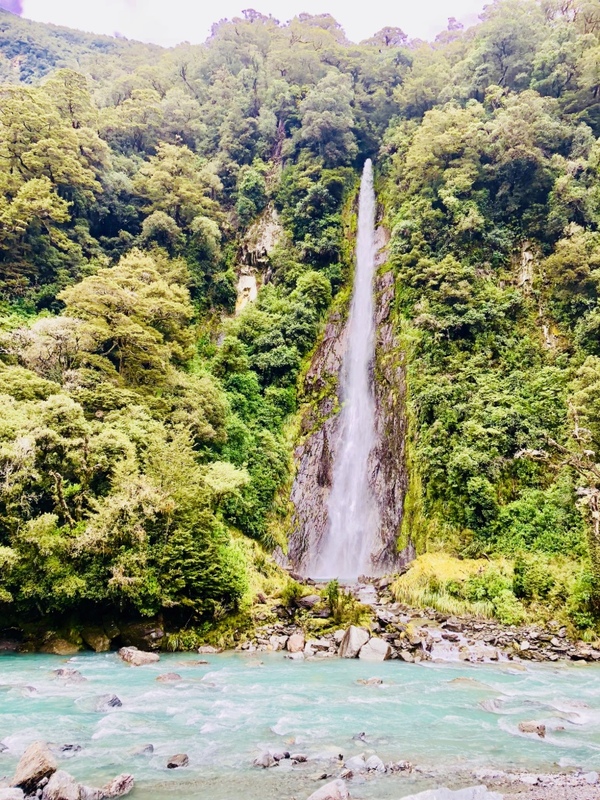 With a small and scattered population and eye-watering accommodation prices, we decided that the best way to travel around New Zealand would be to rent a campervan. I scoured the Internet for the best deals, and finally found an affordable option. 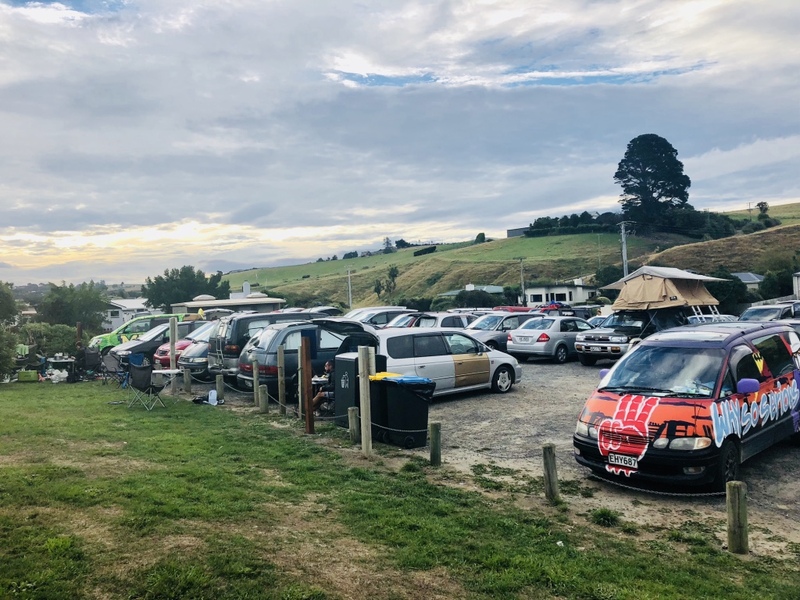 I pre-booked a microvan (essentially a car with a mattress and a few accessories), and on our third day in New Zealand, Shane and I ventured out of Christchurch city centre to an inconveniently located campervan rental agency to collect it. We went through the paperwork, discovered that none of the campervan “extras’” (essentials) were included in the cheap price (“oh you want bed linen? That’s $30 extra. You want a fridge? Or even an icebox? You can forget about that”), and were given a little picture of the microvan with all the existing damage marked with a ballpoint pen. Practically every part of the picture was coloured in. 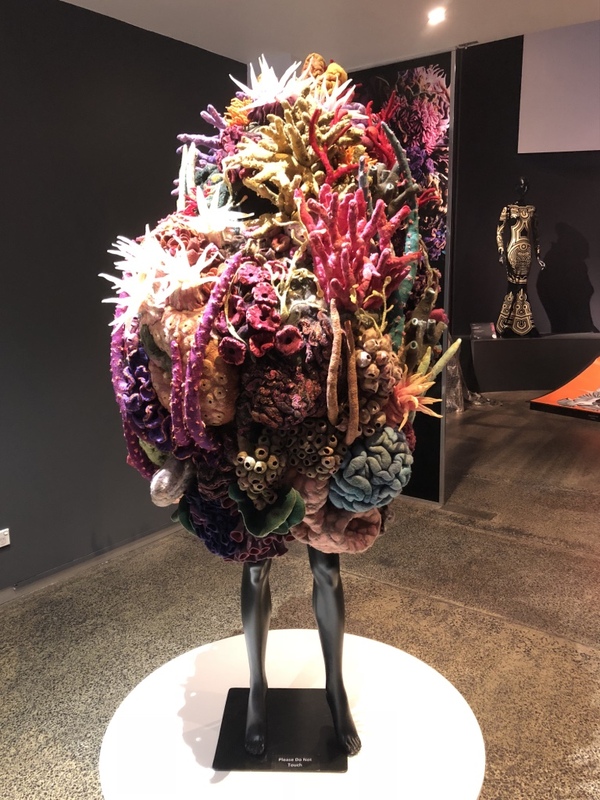 “Why did they bother doing that?” asked Shane, as we left the building and looked for our new home. The “microvan” was in fact a Nissan Wingroad – a small station wagon, manufactured in 2006, imported from Hong Kong or China and with over 250,000km on the clock. Despite being ten years younger than Martha, it had been battered around and felt about ten years older. It was bigger than Martha, but a lot smaller than… well… a campervan, or even a microvan. 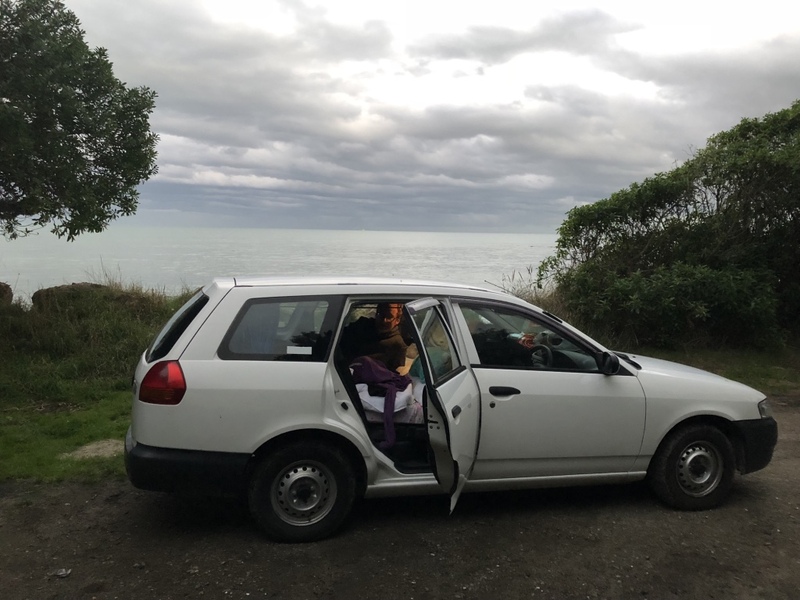 It was considerably smaller than, for example, the Hyundai Tucson we hired in Tasmania, which had made no claims whatsoever to have a ‘van like’ status. We hadn’t hired a microvan at all. We’d hired a normal sized car. 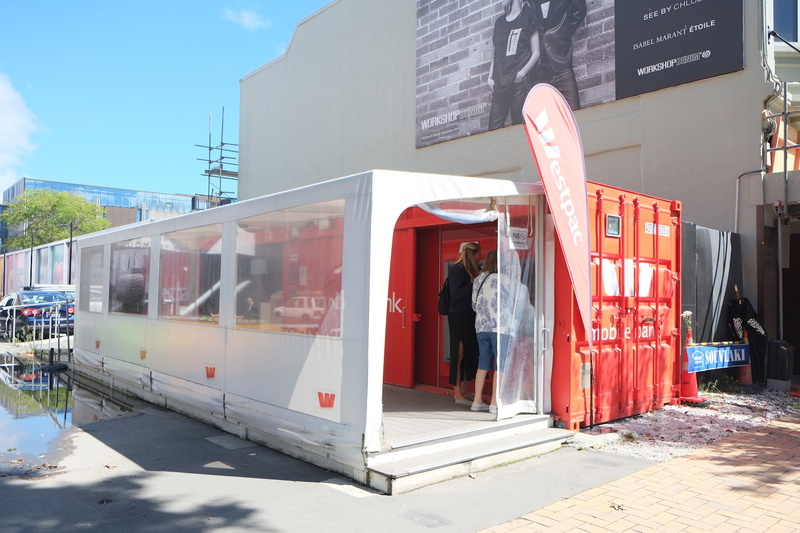 Before we left Christchurch and started our road trip, we made a stop at New Zealand’s premier budget department store, ‘The Warehouse’, to pick up the “extras” (essentials) that apparently didn’t come with the microvan. It was at this point that I found I wasn’t ready to get out of the car and face the reality that was our new disappointing microvan existence, and had to have a little moment to myself. 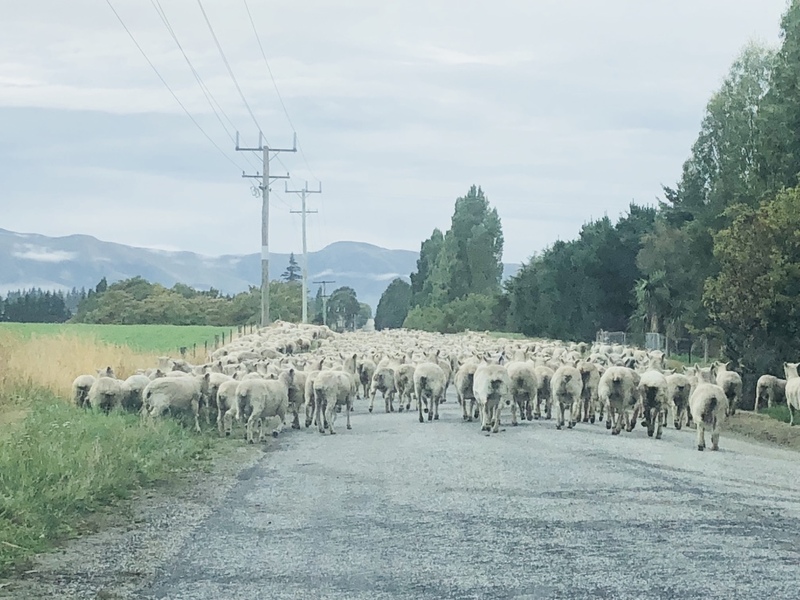 Driving around New Zealand immediately felt more familiar than driving around Australia. The roads were narrower, the roadside animals were less exotic, and the weather was considerably colder and wetter. Depending on the scenery and the weather, it felt as though we could have been in rural parts of the U.K. or Ireland, rather than on the other side of the world. 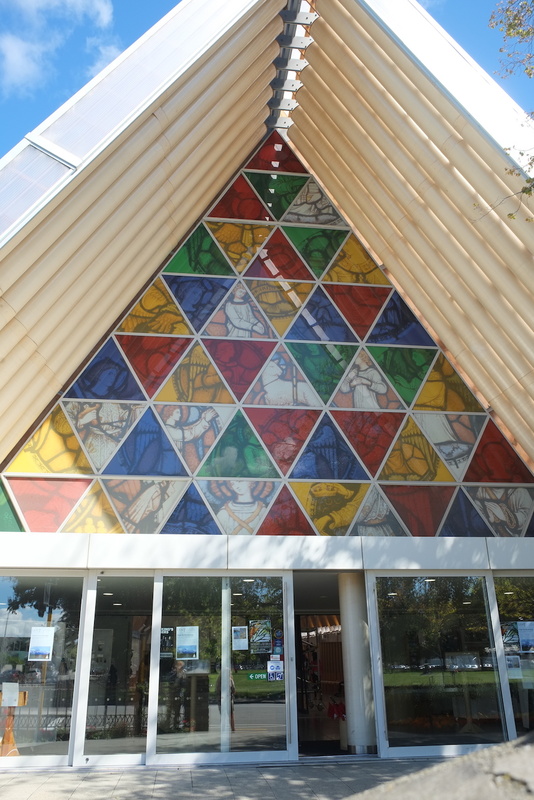 On our first night in Christchurch we spoke to a local taxi driver, who had family in the U.K. 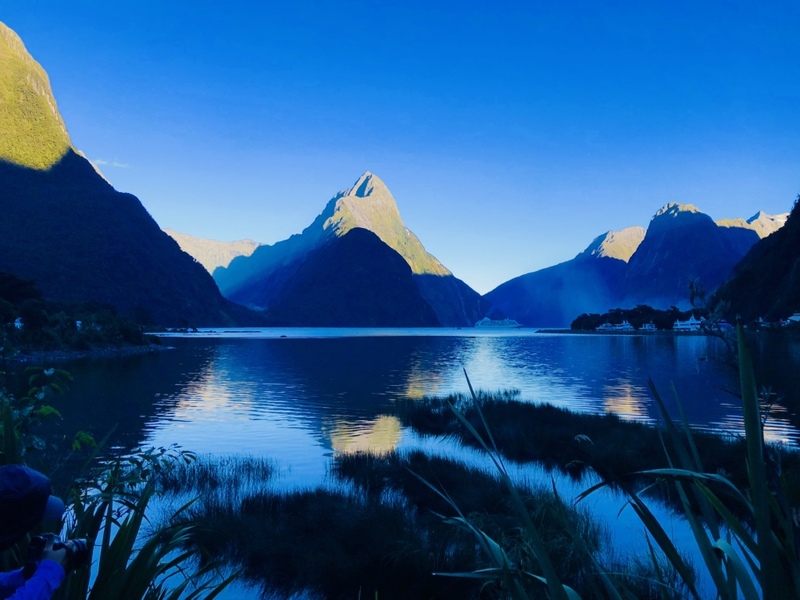 He had just returned from a visit to Manchester, and assured us that summer in Christchurch was “far, far colder” than winter back home. 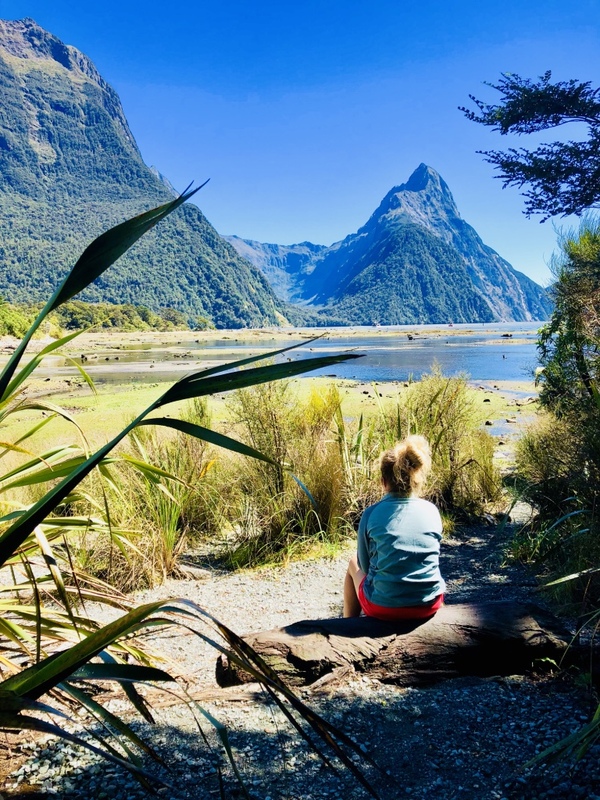 Fully adapted to temperatures of 30 degrees plus, we didn’t know whether to laugh or cry, but as time went on and the Beast from the East covered the U.K. with snow (in March), we came to the conclusion that although it was cold in New Zealand, it wasn’t that cold. 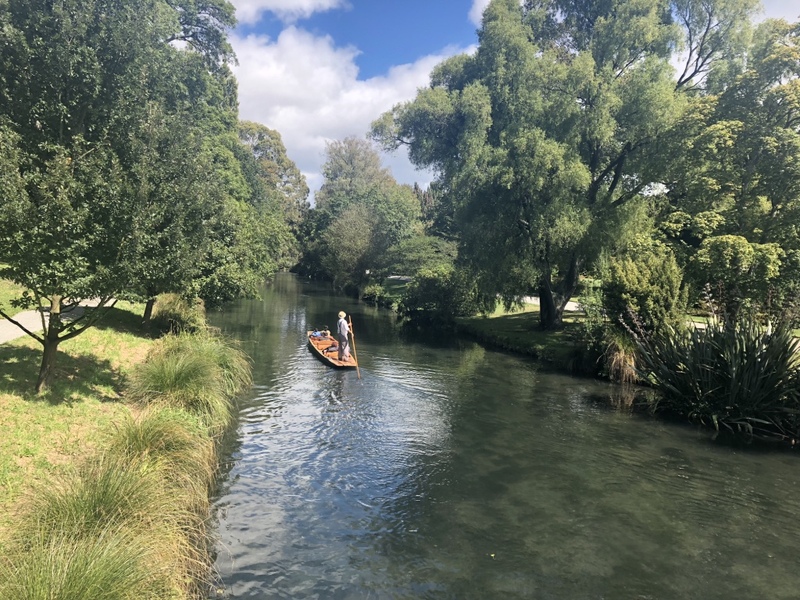 Christchurch itself was an interesting city, still very much recovering from the 2011 earthquake that killed 185 people and caused widespread damage. 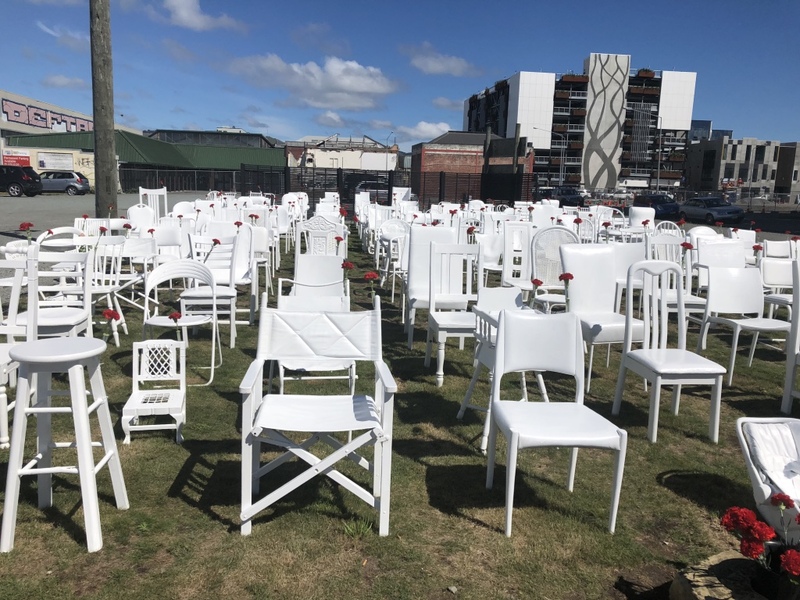 We happened to visit Christchurch on the seventh anniversary of the earthquake, and as well as visiting the city’s museums and botanic gardens, we stopped by the earthquake memorial (185 white chairs, where each chair stands in place of a a person who lost their life), the “cardboard cathedral” (a temporary cathedral structure with a significant amount of cardboard cladding), and the city’s “container mall” (where shops, restaurants and even banks have relocated to containers while the city is rebuilt). 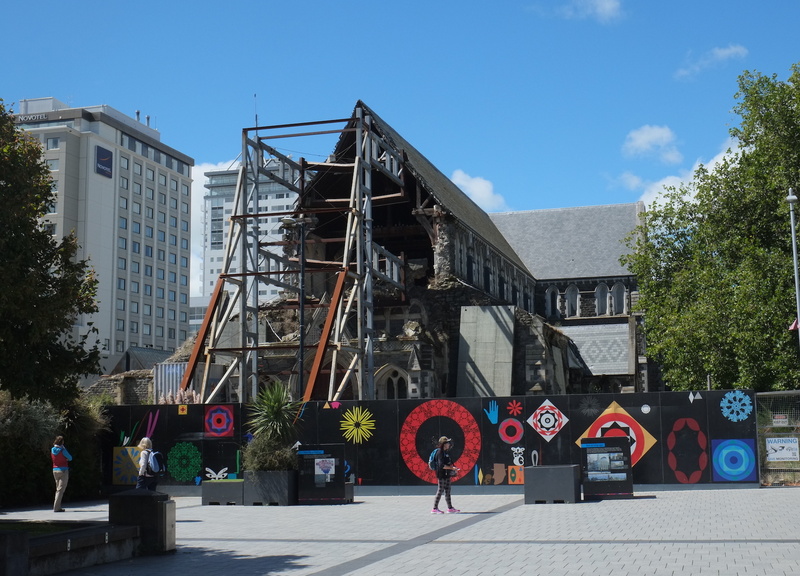 Many of the buildings that were destroyed by the earthquake still stand in some form today, so walking around Christchurch felt like walking around a living museum, with reminders of the earthquake around every corner. 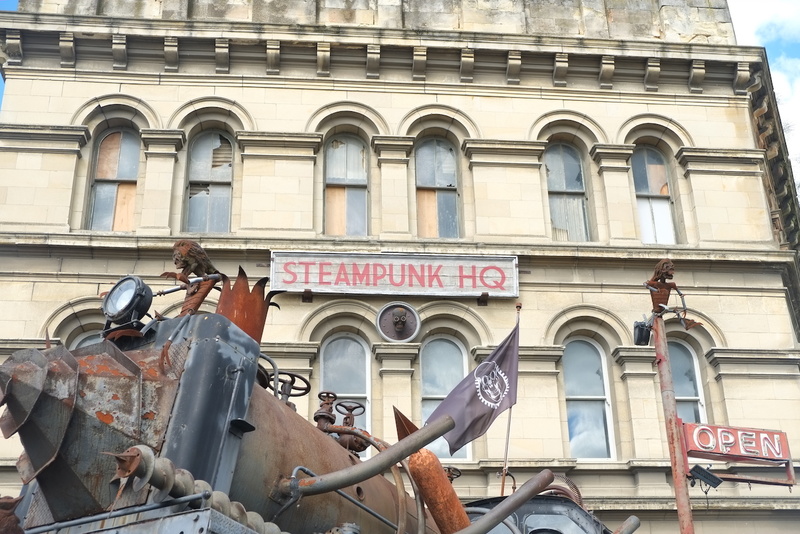 From Christchurch we headed down south to Oamaru, famous for its steampunk museum (steampunk = a sort of science fiction about technology and designs inspired by 19th-century industrial steam-powered machinery) and antique shops. 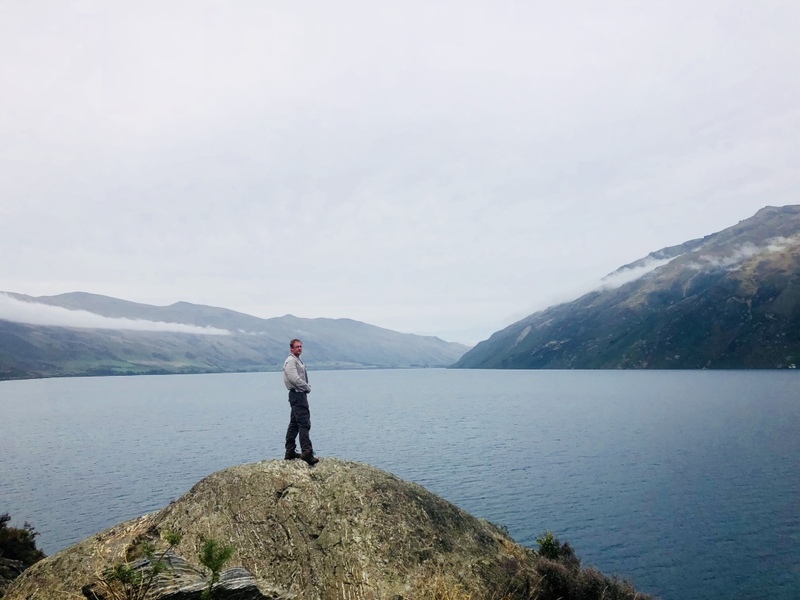 We then continued to Dunedin. We looked for (but failed to spot) the elusive albatross, saw a lone penguin lounging on the beach, enjoyed New Zealand’s version of Cadbury world, and wandered around enjoying the street art and the number of ‘Scottish’ and ‘English’ shops (the name Dunedin comes from Dùn Èideann, the Scottish Gaelic name for Edinburgh). In the evening we found a free campsite where we parked our microvan and settled in for a chilly night’s sleep. 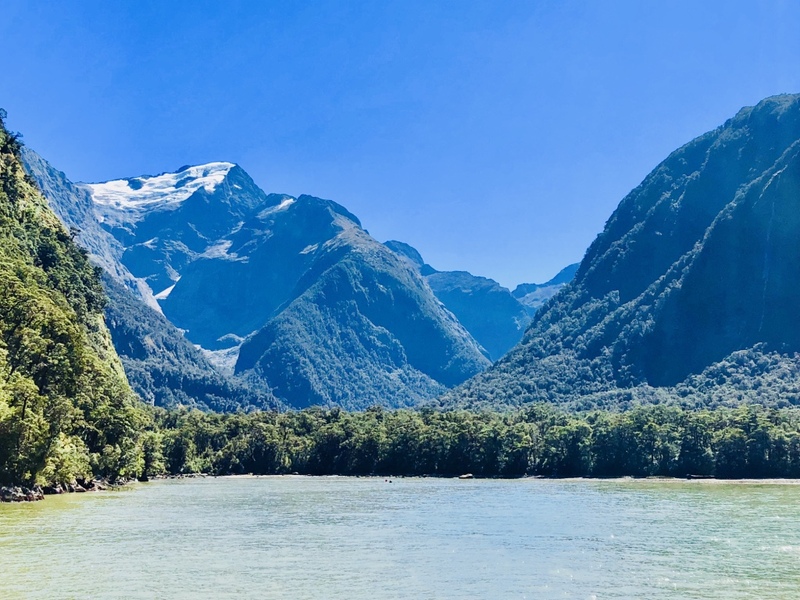 Our next stop was Milford Sound; a beautiful fjord within Fjordland National Park, where we had booked a short cruise and kayaking trip to enjoy the spectacular mountains, waterfalls and glaciers. On our way there, we were hit by a serious storm. The wind was strong, and torrential rain poured from the sky all day. Camping in the evening was a challenge; it was freezing, very wet and we had to sprint from the car to a small shelter in order to cook ourselves a meal, while the wind blew in our faces. We wrapped up in all our clothes, looked around at what was supposed to be a ‘scenic’ campsite, and saw only mist and rain. Miraculously, the next day we woke up to a completely different view. The rain and wind disappeared, the sun shone, and the dramatic scenery lit up around us. We made it onto our cruise and then into our kayaks, and had a brilliant day sailing and kayaking through the fjord. Despite the fact that it was significantly warmer and sunnier than the previous day, I was still freezing cold. I had misunderstood the clothing instructions for our cruise and kayak excursions, and came dressed in shorts and a T-shirt. 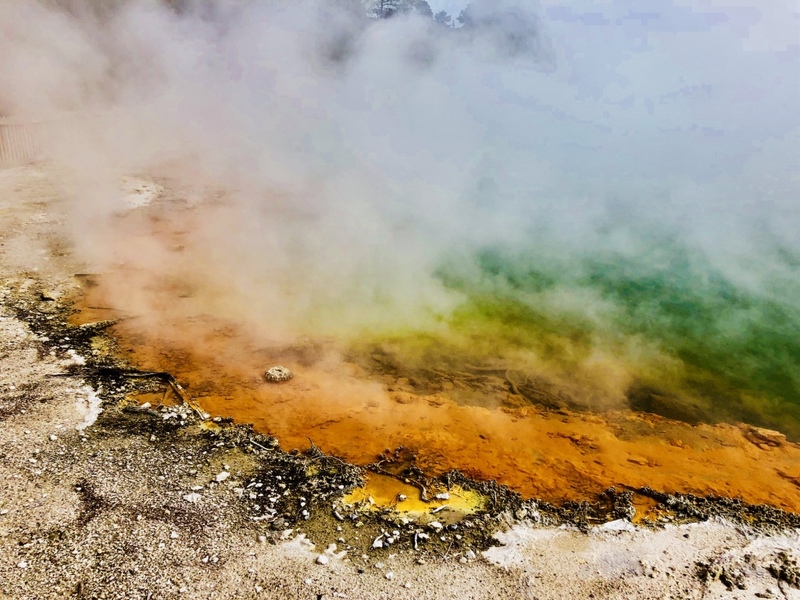 The air temperature was about eight degrees with a cold breeze, while the water had come straight from a glacier and was just above freezing. 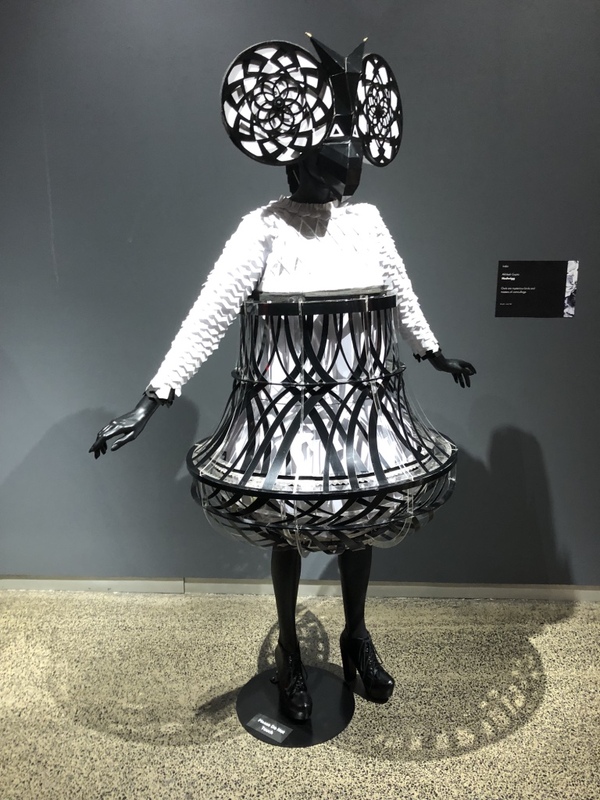 Everyone else wore trousers, warm socks, jumpers, coats, gloves, hats and scarves, but not I. Although I couldn’t feel my arms and legs, I still managed to have a nice time. Another night in a free campsite followed, and by the next day we were desperate for a shower. 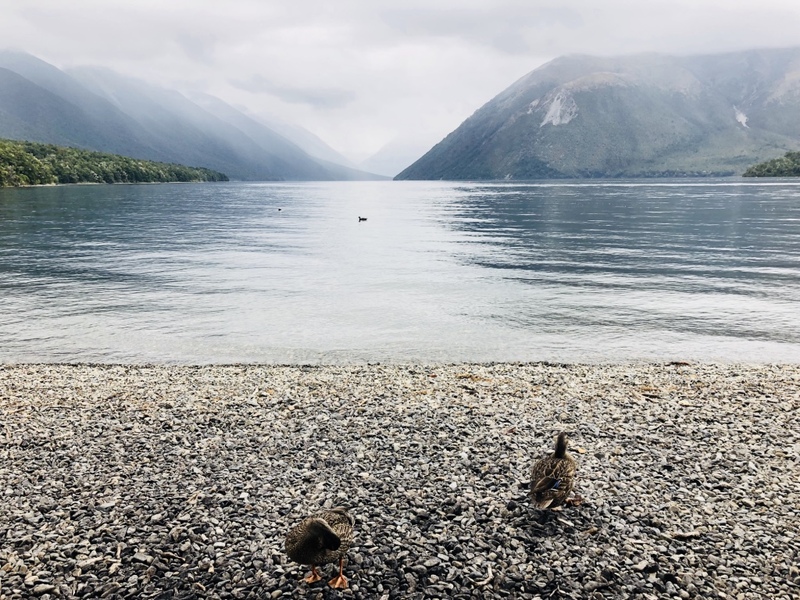 We drove to Queenstown and stayed in a real campsite, making the most of hot showers, sheltered indoor areas and patchy wifi. 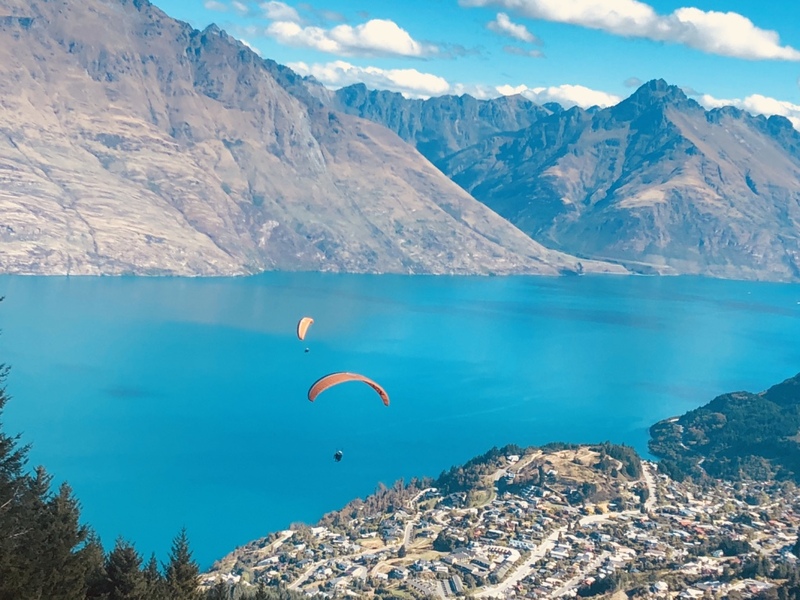 Known as the adventure capital of the world, and home to the first organised bungee jump, Queenstown was a small town perched on the edge of a beautiful lake and surrounded by mountains. 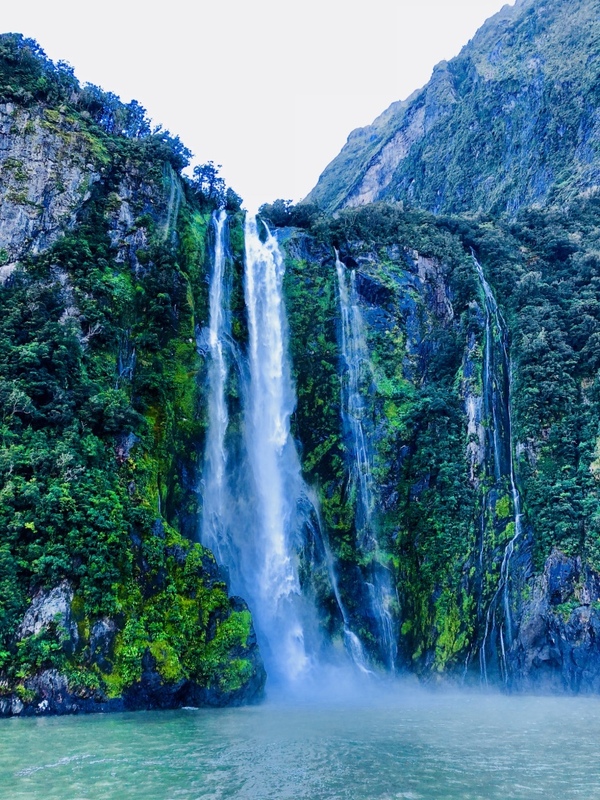 There were no shortage of activities on offer; rafting, canyoning, climbing, jet boating, sky diving, jet skiing, paddle boarding, trampolining, ziplining… you name it, you can do it in Queenstown. Shane and I love adventure activities, but there was so much choice (and the prices were so high) it was paralyzing. We opted instead to take a gondola to the top of one of the mountains nearby, and to luge downhill. 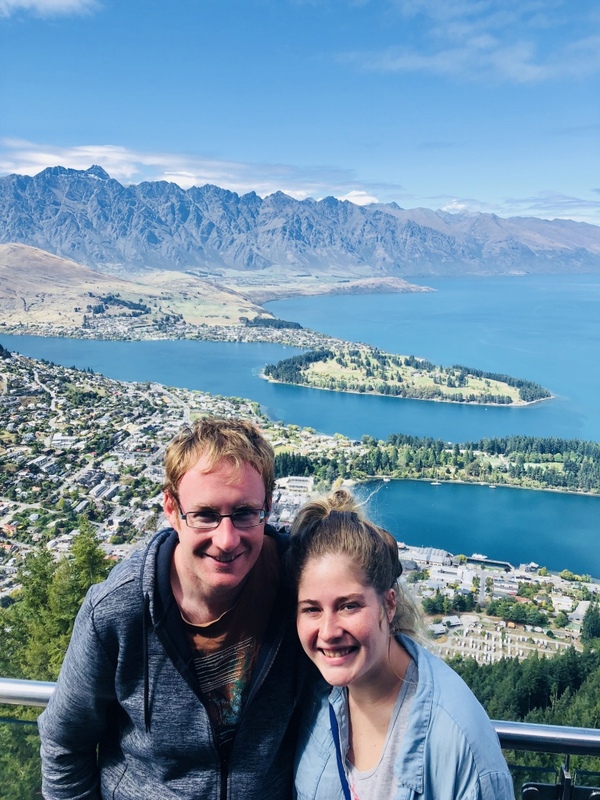 We both loved rattling down the hill in a little luge, although while I simply aimed to stay upright and alive, Shane had a need for speed and did his best to beat me (and everyone else) to the bottom. Luckily we survived, and were able to take a chairlift back to the very top to do it all again (and again). 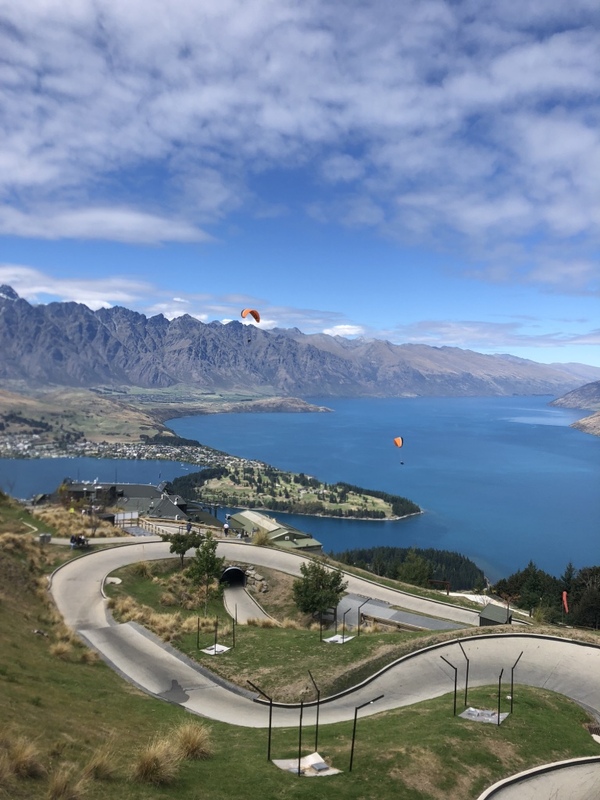 Five luge rides later, we sat at the top of the mountain, watching people paraglide down to Queenstown. It was a beautiful day, and it looked like a great way to travel. It wasn’t long before I signed myself up to do the same, while Shane took the gondola back down to the bottom to wait for me. I was pleasantly surprised to find that paragliding was not scary at all. Yes, we had to run off a mountain, but the air caught us and we glided down peacefully and effortlessly. Having seen someone swinging around upside down earlier, and declareing “there is no way I’m doing that”, once we were flying things felt different and I was excited to try a few tricks. Shane, watching me come down, assumed that the person doing the tricks could not possibly be me, but took photos anyway because it looked cool. From Queenstown we headed north up the west coast to glacier country. 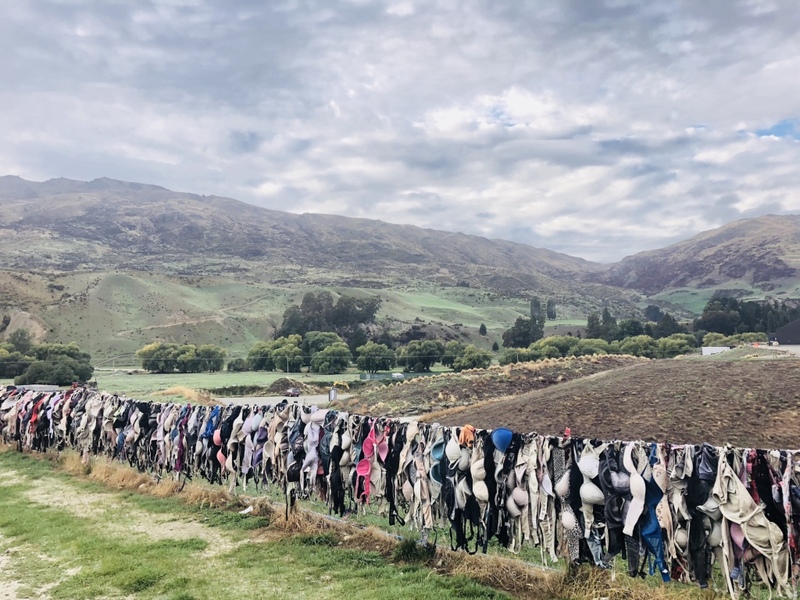 It was an interesting drive past a ‘bra fence’, some beautiful lakes and mountain scenery, and we got caught in the odd New Zealand traffic jam. Once we made it to the glaciers, we found the weather was once again not on our side. It was freezing, it was raining, the wind was howling and a thick fog hung in the air. We found the road to one of the glaciers completely closed, and tried to access various viewpoints but saw only cloud and mist. 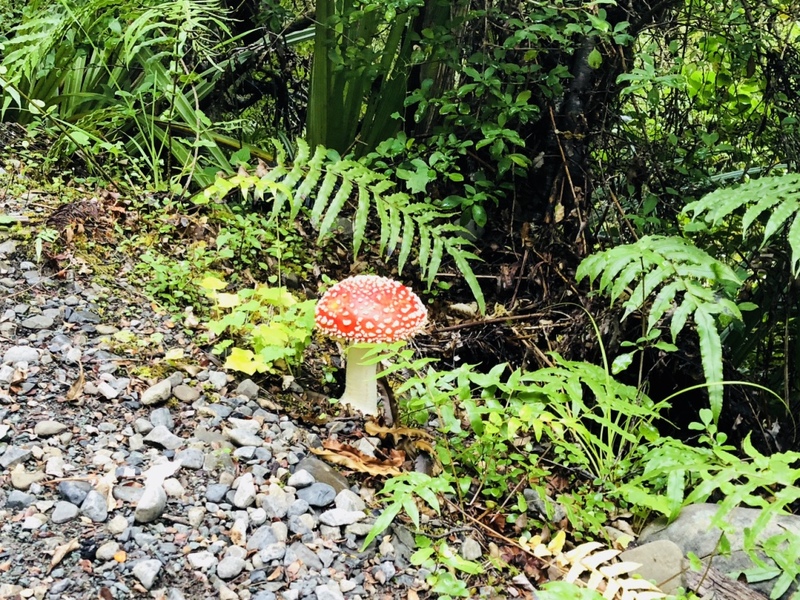 We endured another night of microvan camping in the middle of nowhere, timing our cooking and our toilet trips according to when there seemed to be the least amount of rain, and hoped that a better and brighter day would follow. It didn’t. If anything, the weather seemed to get worse overnight. 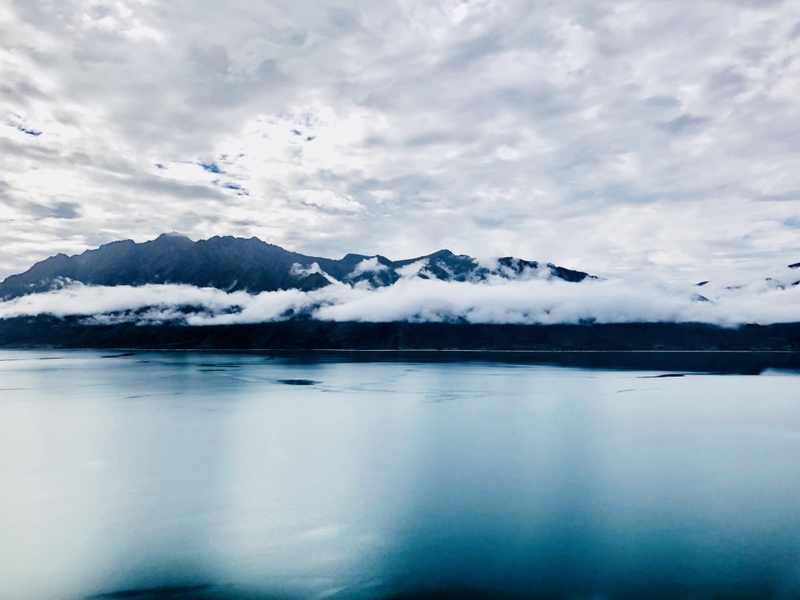 We woke to more rain, more wind and more view-obscuring mist and fog, but decided to try and make the best of the day and to see what we could. 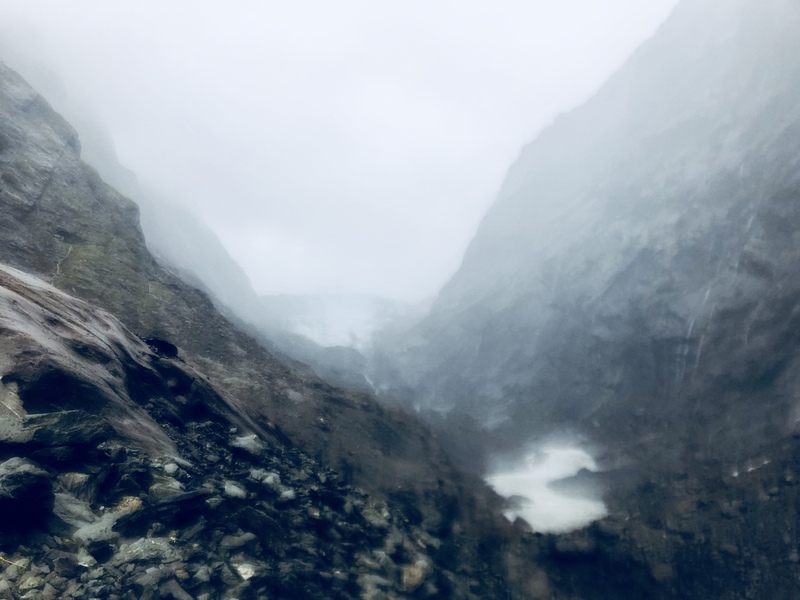 Having had no luck spotting the glacier from far away, we walked for about an hour and a half through the glacier valley in the rain, fog, wind and even an icy cold river, to get as close as we could. 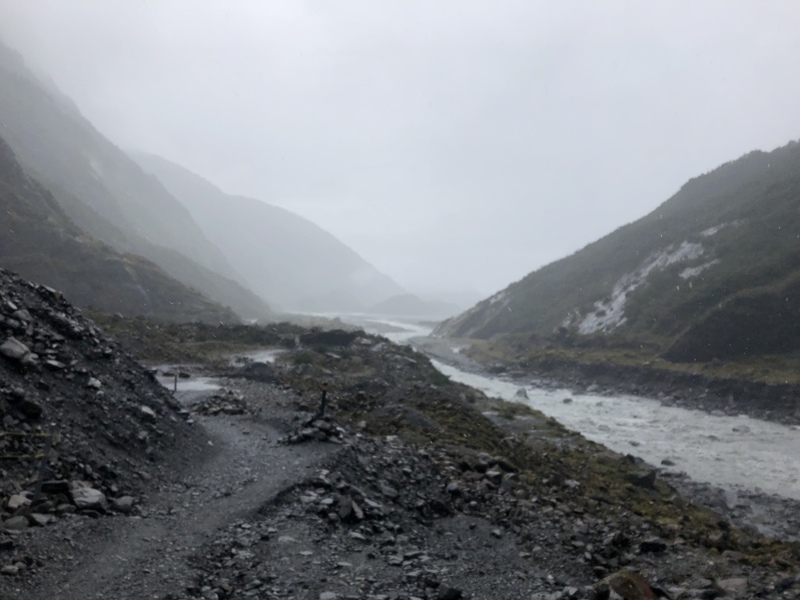 We saw the glacier (sought of), and then headed back through the river, through the rain and the wind and the mist, where we enjoyed a hot drink and a trip to the glacier hot springs to warm up. 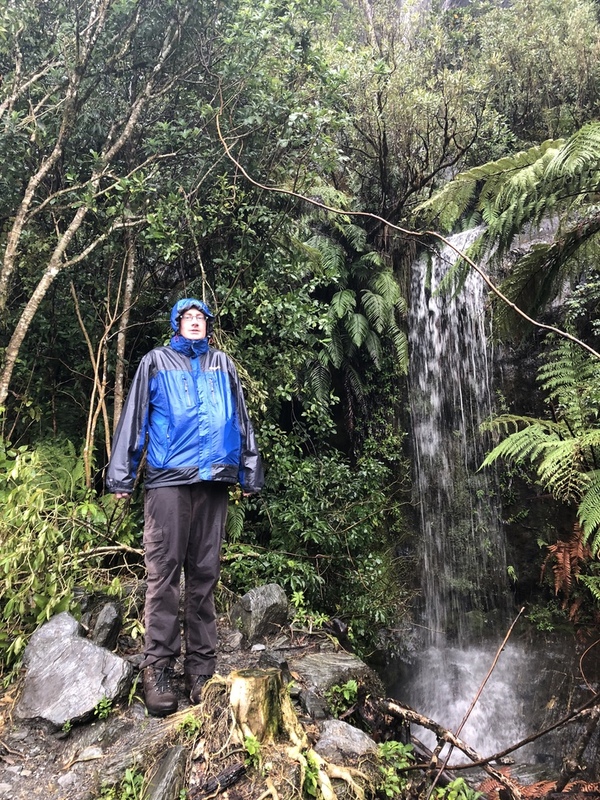 The next day the weather was still not our friend, and when planning our route to our next destination (Abel Tasman National Park), we found that another storm was on the way, and the roads we needed to take were closed. 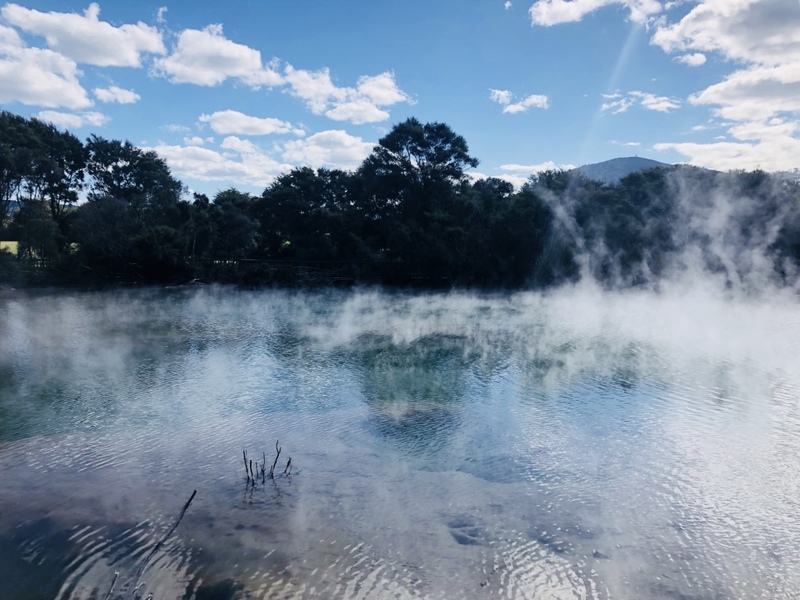 Instead we visited Nelson Lakes National Park, where the storm wasn’t likely to hit and the roads were open. 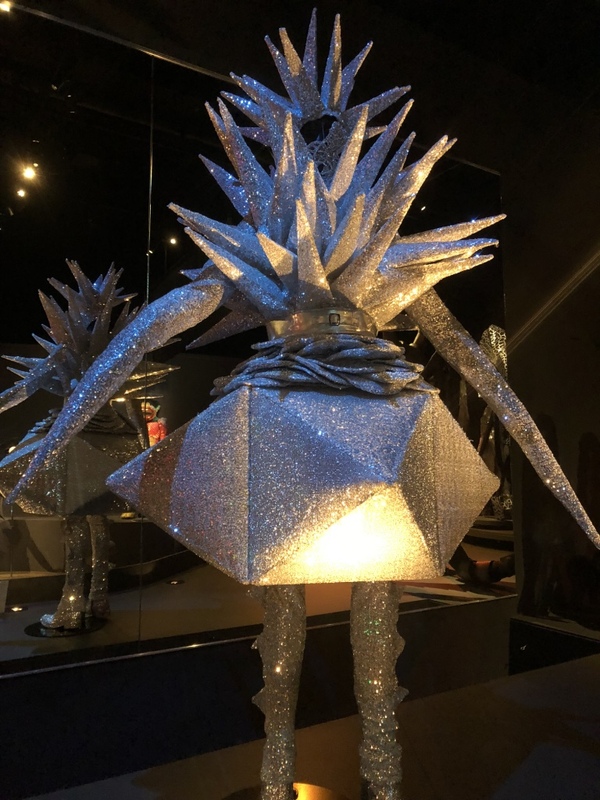 We enjoyed a lakeside walk, visited the weird museum of wearable art and cars (half wearable art, half classic cars) and then spent the rest of the evening in our little microvan, hiding from the swarming sand flies that covered the area and bit us no matter how much insect repellant we wore. The following day we took a scenic ferry ride over to the North Island, and arrived in Wellington. 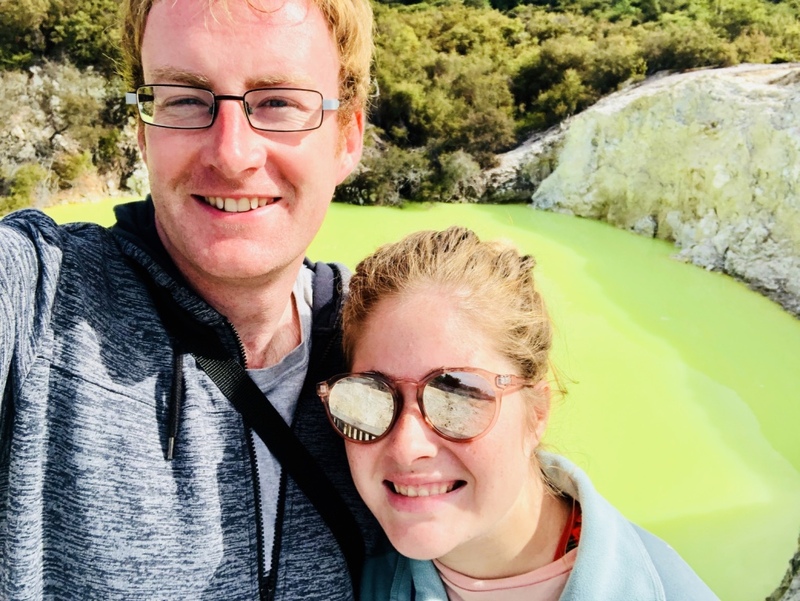 We took a much needed break from our microvan, stayed in a beautiful airbnb apartment, and enjoyed the luxuries that come from living somewhere that isn’t the middle of nowhere, such as visiting a decent supermarket, having wifi and feasting on delicious burgers. 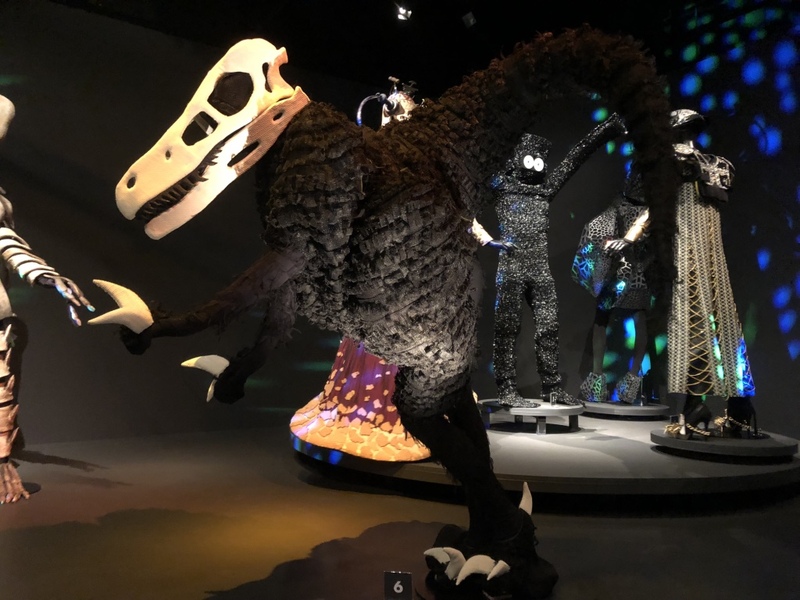 Our time in Wellington was spent avoiding relentless wind and rain, wandering along trendy Cuba street and visiting New Zealand’s Te Papa national museum, where we learnt about the recent and interesting history of New Zealand. 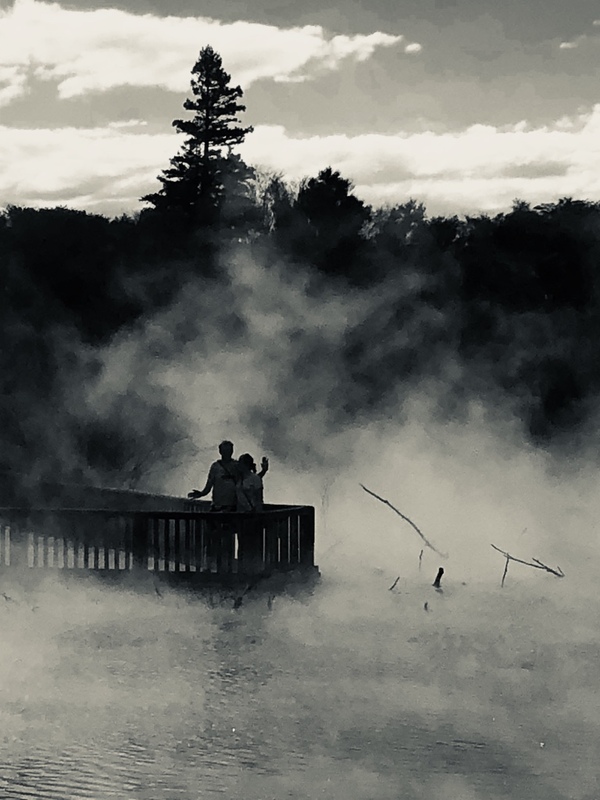 We also avoided the rain by going to the cinema for the first time in well over a year, and dropped by the Weta caves where special effects for the Lord of the Rings and other movies are created. 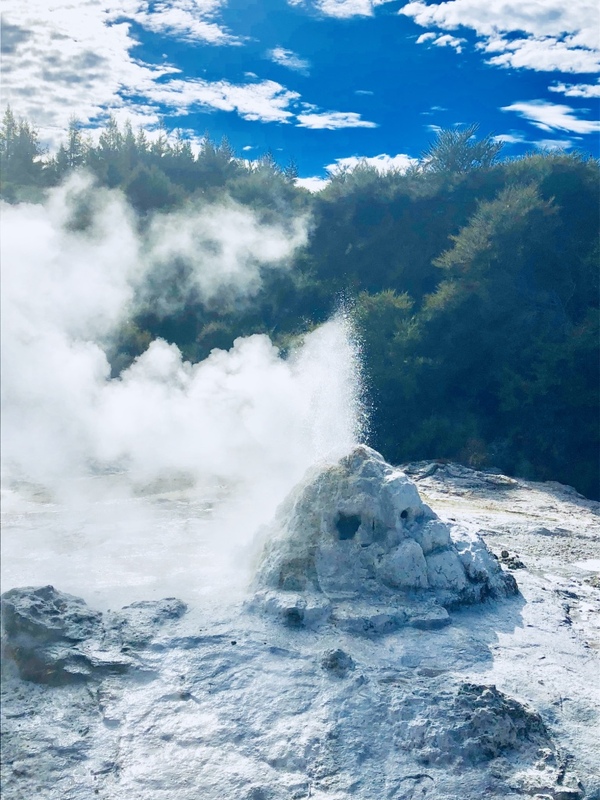 We took our time driving up from Wellington to Rotorua, admiring the scenery, stopping at the Huka Falls and enduring our microvan life. 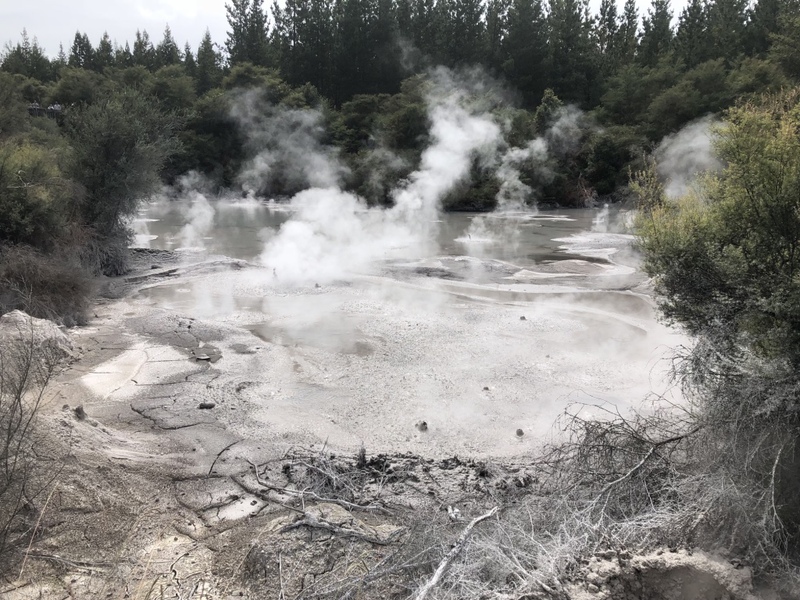 Once we reached Rotorua, a small city set on the edge of a lake and known for its geothermal activity, we were able to stay with Shane’s friends Darren and Rachel, and once again escape our confined existence. 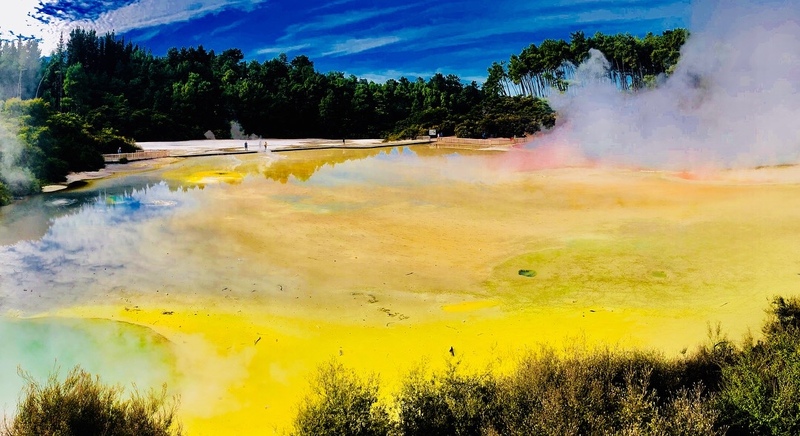 Our days in Rotorua was action packed. 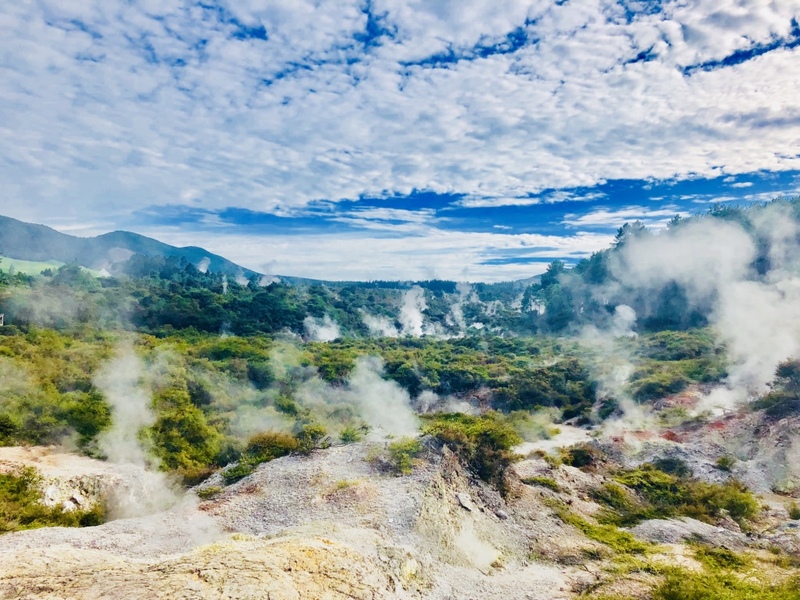 We visited various geothermal features (boiling mud, steaming lakes, champagne pools, geysers, and my favourite – the bright green devil’s bath), had another go at lugeing down the nearby mountains, played crazy golf, went swimming in ‘kerosene creek’ (a hot river), and Shane, Darren and Rachel went mountain biking. 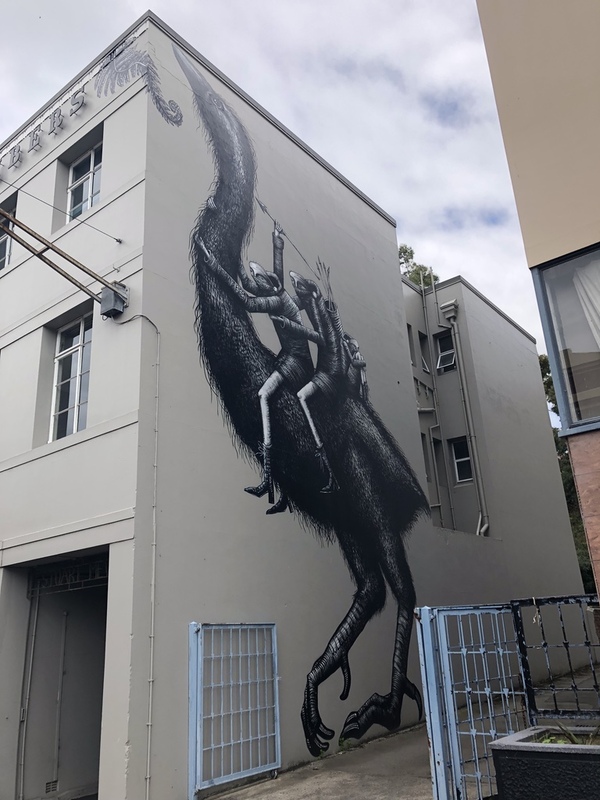 The last stop on our New Zealand roadtrip was the city of Auckland, in the north of the North Island. At last, the sun shone as we strolled around the city. 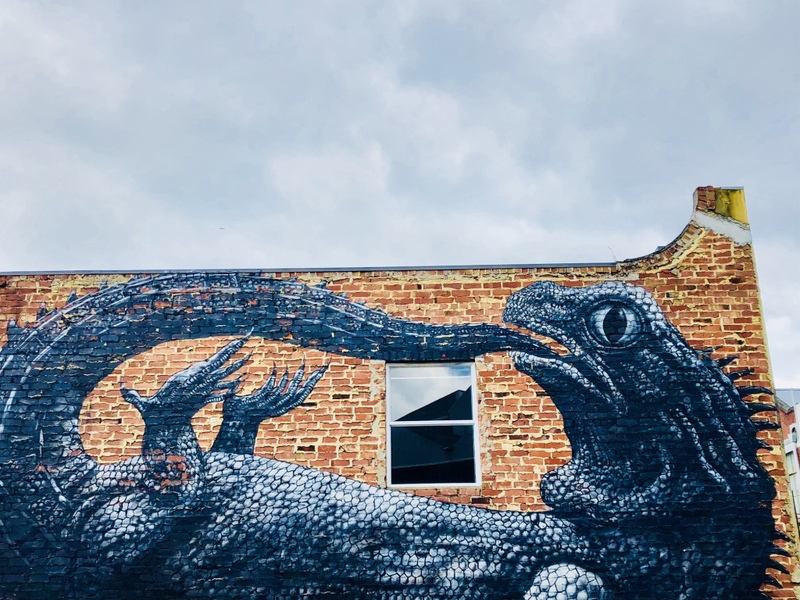 We learnt about the city’s history on a free walking tour, and stayed in the seaside suburb of Devonport where we visited the navy museum and underground defence tunnels. 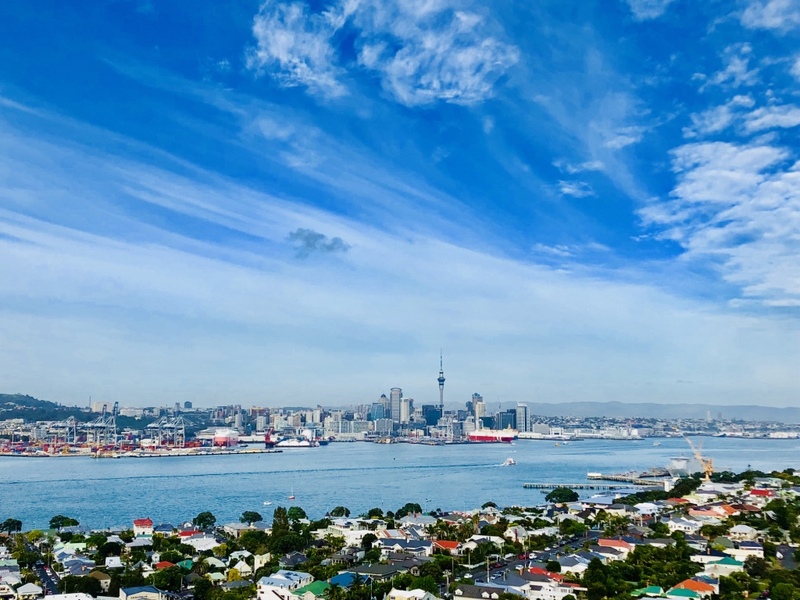 A sunny day in Auckland! 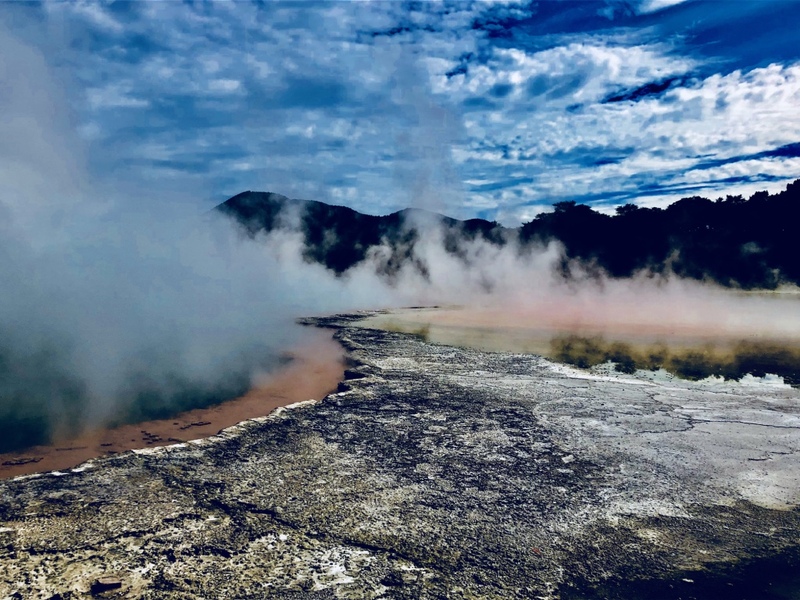 It took us three weeks and 3000 kilometres to drive from Christchurch in the south of New Zealand to Auckland in the north. 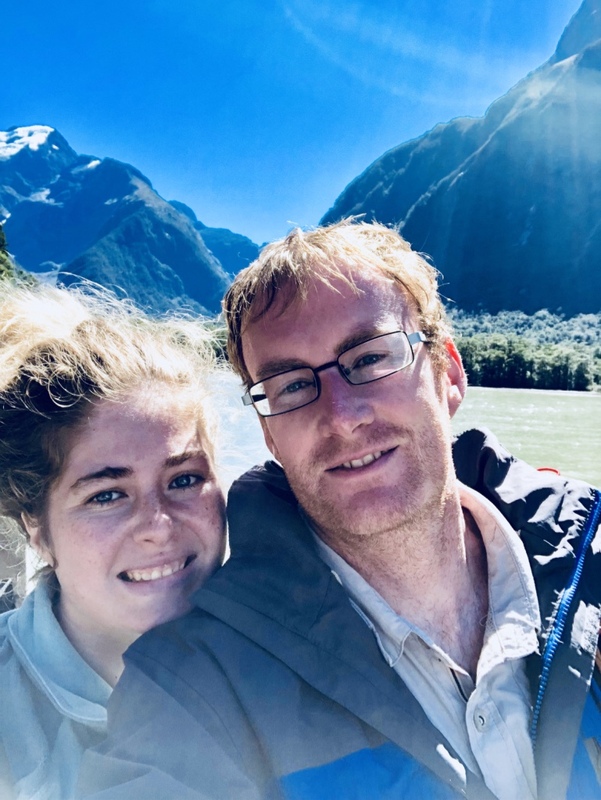 As we prepared to return our microvan and return to Australia, we weren’t feeling too sad to leave behind our sense of isolation, cramped surroundings or the cold and wet weather, but we would miss the dramatic scenery, endless walks, adventurous activities and the harmless wildlife. 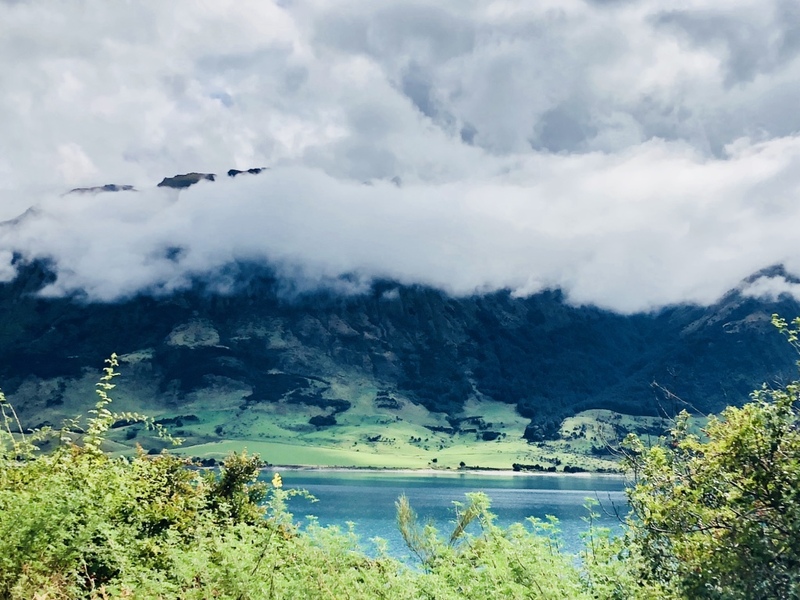 Driving around New Zealand in a microvan was an experience, and while Shane loved every minute of it, I am relieved this particular section of our trip has come to an end. Little did I realize that this was only the start of our wet weather woes. We were welcomed back to Queensland with rain, rain and more rain, as we managed to hit monsoon season and tropical thunderstorms. I used to live in Devonport!